The height Gruver cleared last Friday at the Stanford Invitational — 15-feet, 6.25-inches (or 4.73 meters in the more commonly used nomenclature) — reverberated through the vaulting community. For starters, it broke the Husky school record for women by over a foot. It broke the Pac-12 record by more than five inches. 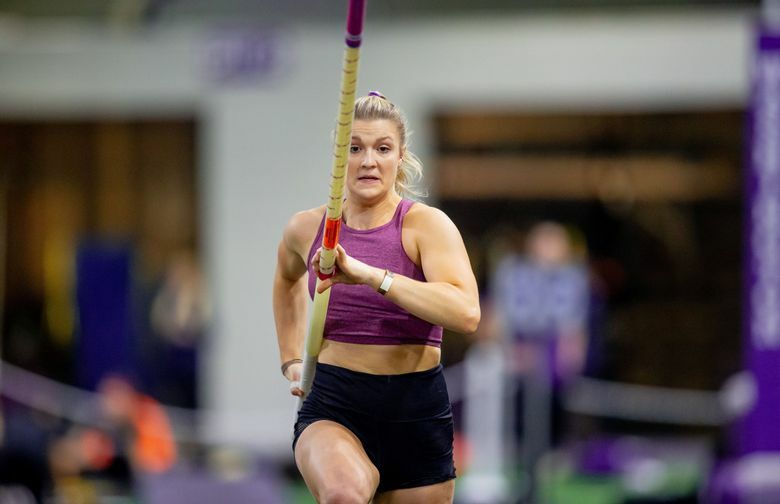 But that was all just incidental to the headline achievement: Gruver had just set the collegiate outdoor pole-vaulting record, surpassing by a centimeter the previous mark of 15-5 ¾, or 4.72 meters, by Sandi Morris of the University of Arkansas. The fact that she did it in just her second time competing in a Husky uniform just made it all the sweeter. 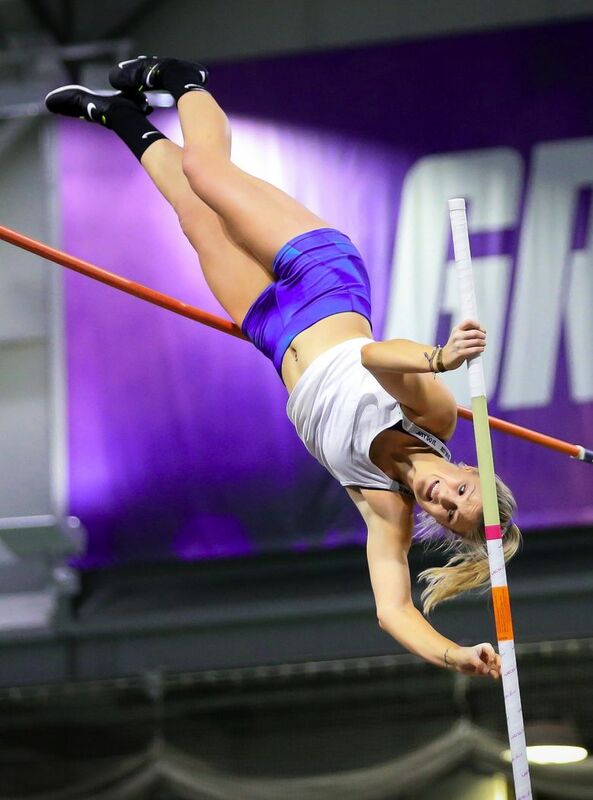 A broken ankle at the outset of the outdoor season curtailed her chances last year, but it didn’t keep Gruver from winning her second outdoor NCAA title for Kentucky in the pole vault. When Stevenson, a former NCAA men’s champion, U.S. champion, and Olympic silver medalist in the pole vault, decided to join the Husky staff of Maurica and Andy Powell, his former Stanford teammates, Gruver’s decision was easy. “As soon as he left, I was like, all right, you’d better pack your stuff up,’’ she joked. It wasn’t quite that easy, of course — Gruver had to work out academic and logistical issues — but her desire to keep working with Stevenson was strong. It was under his tutelage that she added more than two feet to her vaults after he recruited her out of Reisterstown, Md. Released from her scholarship at Kentucky, Gruver ventured to Seattle virtually sight unseen, except for a family visit at age 4 that she barely remembers. It has been a perfect match. Gruver loves the city as well as the Washington program and her new teammates, and has settled into school. She’ll graduate next winter with a degree in early childhood and family studies. 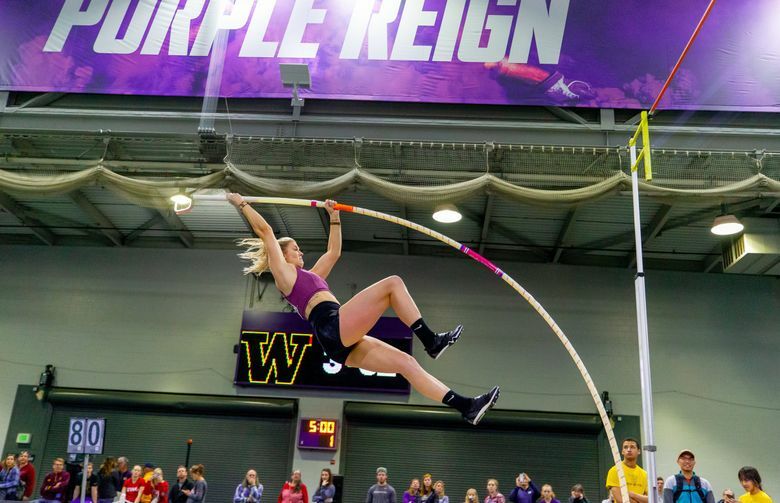 She sat out the 2019 indoor season to allow herself to compete indoors next fall in conjunction with her final quarter of schooling. Gruver’s vaulting future, meanwhile, seems limitless. At a time of burgeoning talent worldwide on the women’s side, she is making a distinct mark. It’s quite a rise for someone who didn’t know a thing about pole vaulting when her friend’s brother coaxed her to try it out at a track club in Washington, D.C. She was a high school freshman. Gruver’s record-setting jump is the second-best outdoor clearance in the world this year, and is tied for fourth in U.S. history. 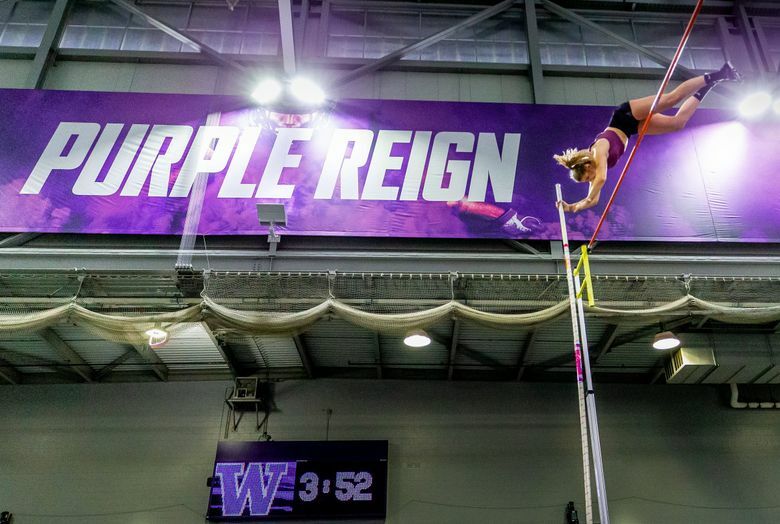 The next major goal — beyond becoming the first woman vaulter to ever win three NCAA titles in the vault — is clearing 16 feet. 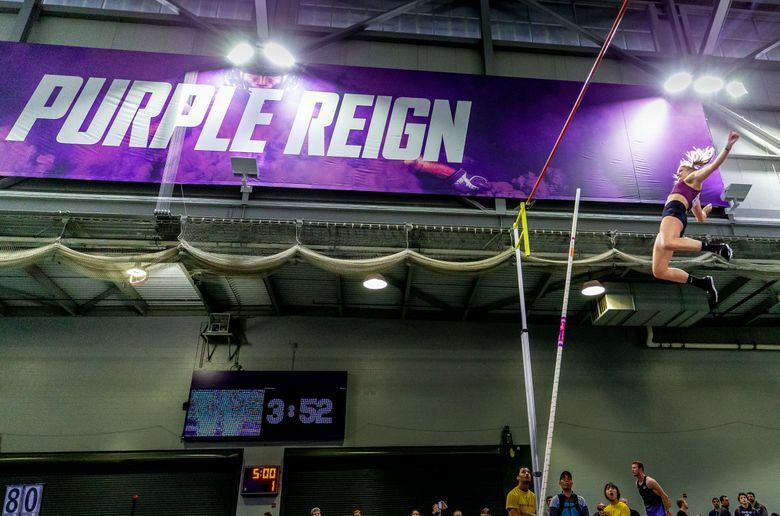 Only nine women have ever done so, indoors or outdoors, including three Americans — Morris, Jenn Suhr, and Katie Nageotte, who are all still at the top of their games. The world record is 16-7 ¼ by Yelena Isinbaeva of Russia. Neither Gruver or Stevenson want to get ahead of themselves, however. 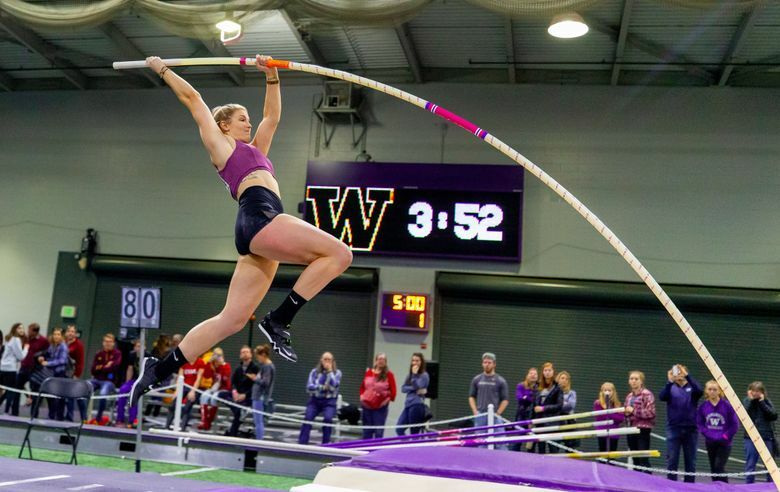 Foremost on their minds is making it back to nationals and defending her title in an event where 19 of the 24 vaulters in last year’s final are back. That includes the formidable twins from Arkansas, Lexi Jacobus and Tori Hoggard. Jacobus is a three-time NCAA indoor vaulting championship, and also won the outdoor title as a freshman and earned an Olympic berth. The 2019 world championships in Qatar and 2020 Summer Olympics in Tokyo are definitely on Gruver’s radar. She plans on remaining Seattle after she graduates (“if they’ll have me”) to continue training. “I think now with what I jumped and seeing the height I got over, the collegiate record, it’s definitely realistic,’’ she said of the international competition. Stevenson believes Gruver’s mental strength is even more impressive than her physical tools, which is vitally important in a sport that is so technically challenging. And increasingly competitive. Women have only been vaulting seriously for about 25 years, and the bar keeps getting raised, literally and figuratively. That’s why breakthroughs like Gluver’s last Friday at Stanford’s Cobb Track and Angell Field are so exhilarating to both athlete and coach.